FORT WAYNE, Ind. 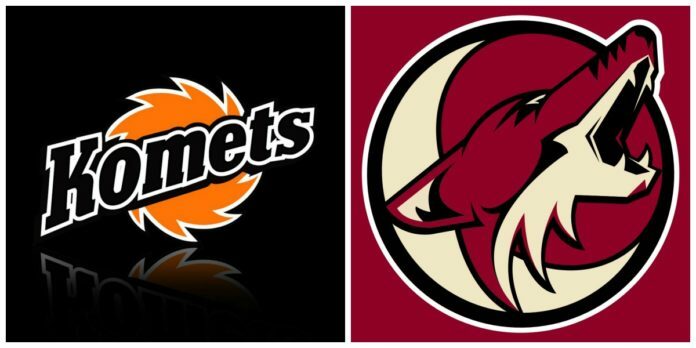 (WOWO): The Fort Wayne Komets are looking for a new NHL affiliate, less than a year after teaming up with the NHL’s Arizona Coyotes. The Indy Fuel have a partnership in place with the NHL’s Chicago Blackhawks, and the Toledo Walleye are Detroit Red Wings affiliates. NHL teams without an ECHL affiliate that are relatively nearby include the Columbus Blue Jackets and the Nashville Predators. The Komets are one of four ECHL teams currently without an NHL partnership. They got players like Michael Houser, Artur Tyanulin, Ryan Culkin and Trevor Cheek from their deal with Arizona. You can hear Komet hockey on WOWO every season, all season long.